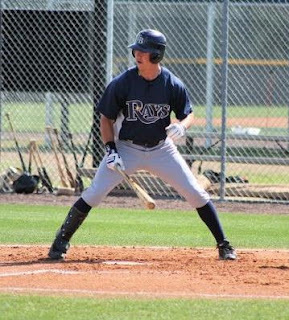 2007 11th round draft pick DJ Jones, who retired from the organization during 2010 spring training, will return to professional baseball with the Rays as an invite for 2011 minor league spring training, according to reliable sources close to Jones. Jones played for Princeton in 2008 and Hudson Valley in 2009, hitting .221 with 2 home runs, 18 RBIs, and 13 stolen bases in 94 minor league games with the Rays. That's good news. I am happy for DJ and his family! Why do we have to be so negative--maybe he or his family was having some issues, and now they are resolved. Give the kid a chance, or maybe he even made some bad choices or something last year, but again give him a chance--I for one hope he does well, and NO I am not a family member or even a friend---I am just a human being with feelings. Not that I follow baseball contracts super close, but I've never heard of a player having to return a signing bonus in baseball before. I thought the bonus was just to induce the player to sign, and once he signed, he got to keep it. Jones played 2 seasons for the DRO- how many years would he have to play before he's earned the bonus? Surprising, but good news. Congrats and good luck to DJ. Hope he starts 2011 in Bowling Green, but there will be some competition in ST.
And yes, I'm kind of a homer, but there will be no repeat of him as my pick for Lower Level Breakout Candidate next year. Daniel B. already mentioned who I'm planning on picking, if you're curious. As far as repaying the bonus, no, it's a bonus for signing his initial minor league contract. Since he hasn't breached that contract, the Rays can't recover the $335,000. Just some jealous haters speculating. Moral of the story: Don't go to college! :) We'll be taking a look at this for other drafts in the 2011 Prospect Guide. he would have breached it if he did not come back. And it also depends on how many payments it was broken into. But if he was realesed then he wouldnt have to pay anything back and would recienve what is left.